Bei mobilen Computern ist die richtige Plattform entscheidend für den Gesamteindruck. Denn neben guter Prozessorleistung, genug Grafikpower und einer schnellen Festplatte ist eine lange Akkulaufzeit wichtig. Wir testen verschiedene Leistungsklassen. Das E780 überzeugt auf ganzer Linie und ist dazu noch recht ausdauernd. Auf den ersten Blick kann man den Fujitsu Lifebook E780 leicht unterschätzen. Je länger man sich aber mit ihm beschäftigt, desto mehr starke und nützliche Funktionen findet man: Dual-Band-WLAN 11abgn auf allen relevanten Frequenzbändern, sprich 2,4 und 5 GHz. Bluetooth 2.1. Gigabit-LAN. 2G- und 3G-Mobilfunk für alle wichtigen GSM-GPRS-EDGE-UMTS-HSDPA-HSUPA-EV-DO-Netze dieses Planeten. Wechselschacht für Akkus und Laufwerke. Seit Januar 2010 ist die Familie der Core i-Notebookprozessoren komplett: Mobile Varianten von Intels aktueller CPU-Generation sind in jedem Preis- und Leistungssegment verfügbar und sehen dank neuem Design und flexiblen Taktfrequenzen sehr vielversprechend aus. Wir haben 16 Modelle verschiedener Klassen getestet. Die beste Bedienung im gesamten Testfeld bringt Fujitsu den ersten Platz ein. 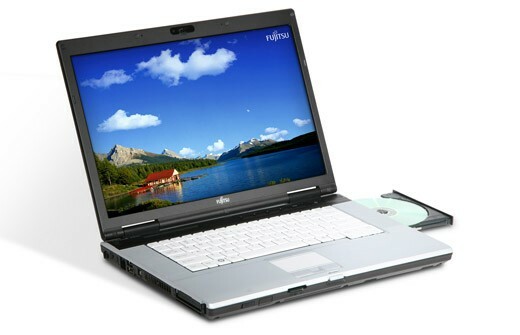 The Fujitsu LifeBook E780 is designed for professionals who need a sturdy laptop with fast performance and good security features. It doesn't come cheap, however. The model we had in for review will set you back around £1200. The 15.6-inch Fujitsu LifeBook E780 is a speedy performer, has good security features and impressive build quality, but its high price and poor screen and keyboard let it down somewhat. 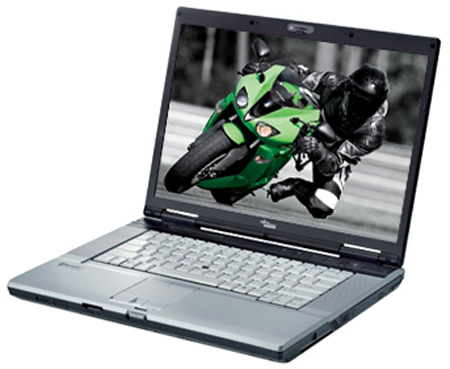 Fujitsu's LifeBook E780 is a 15.6in widescreen laptop with a boxy design and a tacky, two-tone colour scheme. Fujitsu's LifeBook E780 is designed for professional users who want a fast notebook with a high screen resolution that's also capable of being relatively easily transported. It's well built, has good security, and you get lots of connectivity. However, it could use a faster hard drive and a DVI or HDMI port. There's no doubt that the Fujitsu LifeBook E780 is costly, but it's worth it if you want a laptop with a high-end CPU and a vibrant, Full HD screen. We wish it also had an HDMI or DVI port, and that the keys were a little softer to press. (The location of the Kensington lock on the right side is also awkward.) But overall, we like the build quality, the excellent screen, and the long list of connectivity features. As a corporate laptop, the LifeBook E780 does a fairly decent job thanks to its nice set of security features to protect data. Consumers on the other hand are more interested in features such as graphics, storage and performance. In these areas, the LifeBook E780 comes up short of what the competition has to offer in this price range. The LifeBook E780 gets its desktop replacement label from its level of performance relative to other corporate class laptops.